Bukola Saraki’s legal team walked out of the court room today in protest against the Code of Conduct Tribunal’s refusal to cancel Saraki’s ongoing corruption trial. 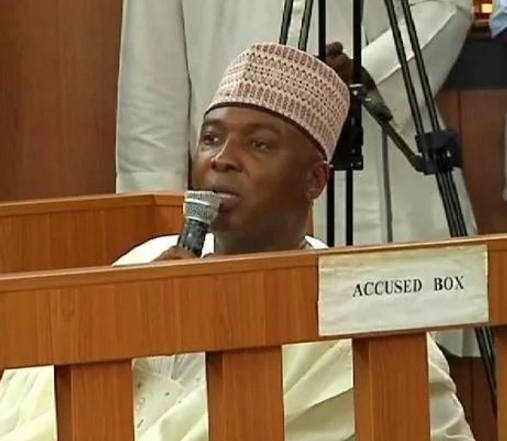 Saraki’s case has been adjourned to the 19th of November, 2015. Justice Danladi Umar of CCT said Saraki’s legal team disrespected the court of law for walking out on him. Walking out on a Judge is it a better way to appeal or show discontent? Lawyers must continue to respect our courts no matter the interest of their clients whom they represent.They must not allow emotions to becloud the overall interest of justice.